Chris Evans has wrapped shooting for the fourth Avengers film, and based on a tweet he posted this afternoon, it sounds like he’s hanging up the shield. 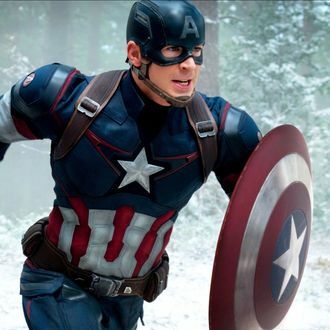 In a universe where a super-being can put on a fabulous glove and snap half of all living beings out of existence, stranger things have happened than Evans as Captain America suiting up again down the line for a character cameo or some other type of official Marvel business. But for now, at least, Evans is retiring his Cap and giving thanks to everyone who supported him and thirsted after him and called him the Best Chris in Hollywood along the way.